Juniors: Ages 11-13 - Each team will play a regular season game schedule, with playoffs at the end of the season. Games are scheduled 2 or 3 times per week at 6:00 PM with some Saturday games during the month of May and the regular season ends the middle of June followed by playoffs. 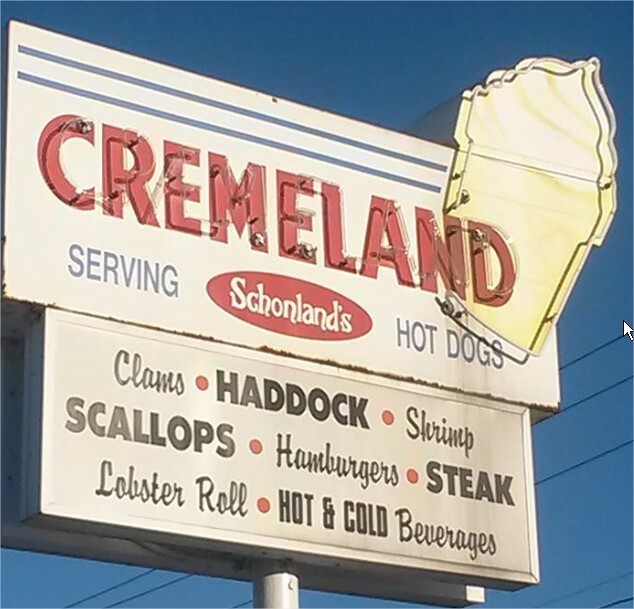 INFO: Cremeland serves fried seafood (clams, haddock, scallops, shrimp), steak, lobster rolls, burgers, chicken burgers, fish burgers, hot dogs, chili, fries, cole slaw, ice cream cones, shakes, frappes, floats, sundaes, and ice cream bars.